Hello and welcome to the new Tara Barnes Photography Blog! I'm Tara, a wedding and senior portrait photographer based in Weatherford, Texas. 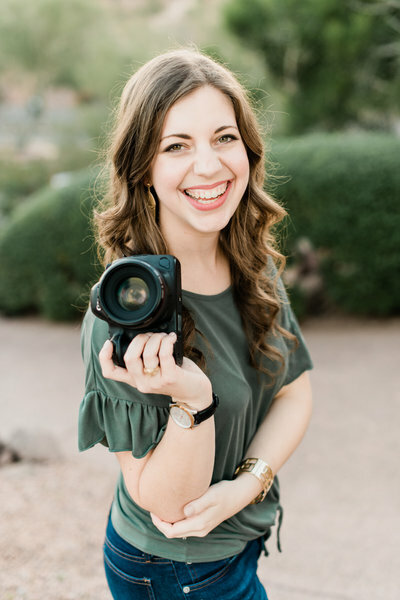 (just outside of Fort Worth) I hope you enjoy viewing my latest work, browsing resources for brides, and getting a little peek into my life! Chelsie and Trevor tied the knot on one of the prettiest days in March for their lovely outdoor ceremony at Parker Manor. Parker Manor is the newest extension of the Springs in Weatherford and I am OBSESSED – they couldn’t have chosen a better venue for their beautiful day! It’s the perfect Southern venue just outside of Fort Worth for brides wanting an upscale look. You may remember Chelsie and Trevor from their engagement session at Holland Lake Park! I always love working with couples that get married in my hometown – we moved to Weatherford just two years ago and I’m falling in love little by little. It’s such a quaint city with a laid back atmosphere. There were many tears of joy shed throughout the day as Chelsie and Trevor tied the knot! They had such a relaxed day which fit them perfectly. Many congratulations to the new Mr. and Mrs. Wharton, I wish you both many years of happiness in your marriage together! Hi friends! I’m so excited to share Ashley and Tylers G-O-R-G-E-O-U-S wedding at the stunning Milestone Mansion in Aubrey on the blog today! Ashley and Tyler both live in Colorado so Ashley actually planned her Texas wedding from afar. Every detail was so well thought out and absolutely beautiful, I’m impressed that Ashley was able to plan from a different state. Ashley and Tyler actually met in high school when they both worked at one of the first Charming Charlies in the Dallas area. They were setting up the store getting ready for the grand opening and became fast friends. Although Tyler eventually quit working at Charming Charlies, they kept in touch, started dating a few months later, and the rest is history! Ashley and Tyler make such a fun, laid-back couple and that was evident throughout their amazing day! Everyone was so joyful and excited for the newlyweds! I hope you enjoy going through the beautiful photos of their day as much as I did taking them. Many congratulations to the new Mr. and Mrs. Parnell, I wish you both many joyful years of marriage! Vanessa and Taylor were one of my first weddings of 2019 and I can’t think of a better way to start the year than celebrating two good friends! It’s always a joy photographing marriages, but it’s even more rewarding when they’re two of your best friends! It’s been a privilege getting to know these two the past few years which made their wedding day all the more special. I’ve learned when photographing friends I have a much harder time narrowing down the photos, so I apologize in advance for the extra-long blog post! Vanessa and Taylor are two of the most genuine, dedicated friends and you could see that in all the people that were there to support them on their day! They were surrounded by so many loved ones and I know everyone was thrilled for these two to finally be tying the knot! 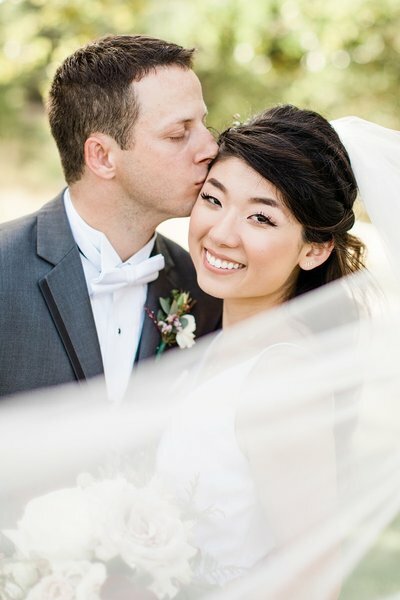 Even the weather was in their favor – we had wonderful sunshine and warmth all throughout their January wedding day. Vanessa worked as a wedding coordinator this past summer so I wasn’t surprised that she had so many beautiful details to photograph! The black bridesmaid dresses were so unique and classy and paired perfectly with their beautiful pink and red flowers. In the spirit of Valentine’s week, this wedding is a perfect fit for the blog today! Enjoy some of my favorites from Vanessa and Taylor’s day and a huge congratulations to the new Mr. and Mrs. Birkner!! Abby and Jake had a gorgeous outdoor ceremony early January at the Gladney Center in Fort Worth, Texas. Since we’re in Texas, the winter weather ranges from the extremes of freezing ice to “better than spring” weather. We couldn’t have asked for a more perfect day for Abby and Jake’s gorgeous outdoor ceremony. The sun was shining with a cool breeze along with a beautiful sunset to end their day. Abby and Jake’s day was full of personal details, my favorite being the exquisite florals that Jake (the groom!) assembled for their day! Jake did a wonderful job, making Abby’s bouquet all the more special. I love that they incorporated their Aggie Spirit with little touches throughout the day. During the ceremony, Abby and Jake incorporated a Century Tree Seedling by pouring soil into the pot of the newly grown tree. For my non-Aggie readers, the Century tree is an old live oak tree that holds the tradition that if a couple walks under the branches of the tree, they are destined to be together forever! Abby and Jake acquired a seedling through the “Aggie Century Tree Project” which began as a fundraiser for A&M scholarships. Century Tree seedlings are grown from acorns harvested from the Century Tree then sold to raise money for scholarships. I hope you enjoy looking through these photos as much as I did taking them! Congratulations to the new Mr. and Mrs. Landry, I wish you both many years of joy and happiness! I’m so excited to share my last wedding of 2018 and boy, was it a party! The Henley family is so fun, and I’m honored that I’ve been able to capture both Kendall and Karinne’s wedding! I actually first met Kendall several years ago in College Station when I photographed her senior portraits – whoop! Kendall and Connor had a gorgeous winter wedding at the Farmhouse just outside of Houston. I always love getting to shoot at the Farmhouse, the white walls and huge chandeliers are absolutely stunning. Connor had the sweetest reaction to Kendall walking down the aisle and they had a beautiful ceremony inside the chapel at the Farmhouse. After the ceremony everyone danced the night away to Danny Ray Acoustic – such a fun band! I hope you enjoy looking through these photos as much as I did taking them. Congratulations to the new Mr. and Mrs. Yancy, I wish you many years of joy and happiness! Morgan and Shaughn had a lovely late fall wedding at the Springs in Weatherford. Even though it had been very cold the weeks surrounding their wedding, thanks to the crazy, sporadic, Texas weather, they were blessed with a beautiful, sunny day! The leaves were turning at the Springs leading to beautiful orange and red tones as a backdrop for their ceremony. Morgan was a gorgeous bride donning a stunning Maggie Sottero dress. She and Shaughn had the sweetest first look outdoors by the fountain as they took in a few peaceful moments together. Their ceremony began moments before the sun set as they exchanged their heartfelt vows. They ended the night in the adjacent reception hall visiting with friends and family and dancing the night away. Many thanks to you Morgan and Shaughn for trusting me to capture your amazing day! I wish you both all the best in your marriage!! Courtney and Matt had a beautiful fall wedding at the stunning Dove Ridge Vineyard in Weatherford! I was touched by how loved these two are, during the speeches their family and friends went on and there was barely a dry eye in the room! Their day began in the lovely getting ready suite at Dove Ridge with Courtney surrounded by seven of her closest friends. When I arrived, everyone was so relaxed, visiting with one another as they put the finishing touches on their hair and makeup. 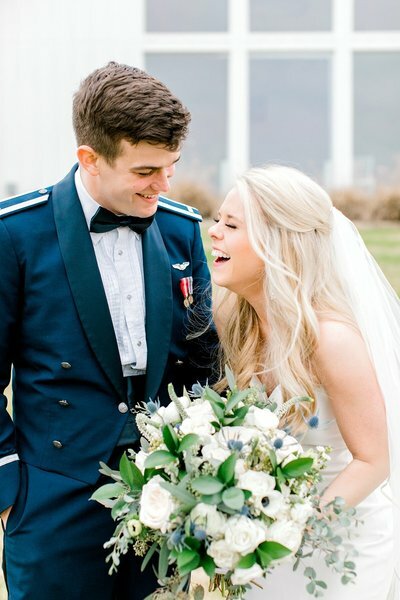 After everyone was ready, Courtney and Matt shared the sweetest moment behind a pillar so they couldn’t see one another just moments before the ceremony! I loved Matt’s reaction to his beautiful bride walking down the aisle. Throughout the day, Matt was so tender and goofy with Courtney, it’s obvious how much he loves her! After their ceremony in front of the grand fireplace, everyone headed on to the reception area to enjoy stations of many different food types. Their reception was quite the party with everyone dancing the night away on the dance floor! Courtney and Matt, I wish you both all the best in your marriage. Thank you for allowing me to be a part of capturing this special season of life! 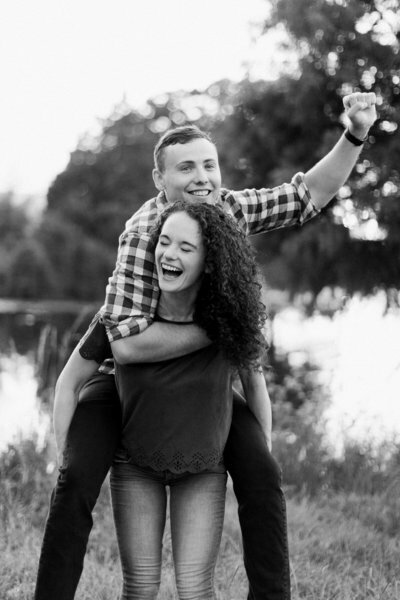 Kathryn and Alex grew up together in Pecan Plantation in Granbury, Texas, but they didn’t begin dating until college! When it came time to plan their wedding, they had to look no further than their neighborhood. Nestled among thousands of pecan trees, Pecan Plantation is a one of a kind residential community. There’s multiple parks, a restaurant, pharmacy, airport, country club and much more! The newlyweds tied the knot at a church just outside Pecan Plantation then held their lovely reception at the country club. They had a quaint wedding surrounded by their closest family and friends followed by a dinner party. During the ceremony, there wasn’t a dry eye to be seen as Kathryn walked down the aisle. One of my favorite photos is of her sweet family members wiping away their tears of joy. After the ceremony I loved capturing these two around the beautiful country club property. There were so many beautiful spots for portraits, Kathryn and Alex looked so elegant against the striking black and white building! Together, Kathryn and Alex make such a fun, sweet, pair and it was a joy being a part of their wonderful day. Many congratulations to the new Mr. and Mrs. Knapp! I wish you all the best in your marriage! Julie and Andrew had a beautiful morning wedding last month at the Ashton Gardens in DFW. I arrived at the hotel the girls were getting ready at just as the sun was rising! From the hotel, we headed on to Ashton Gardens where Julie had all of her lovely bridesmaids help put on her dress before meeting Andrew for their first look. Their ceremony took place inside the gorgeous chapel on the property surrounded by trees with floor to ceiling windows. It was absolutely stunning! My favorite part of their ceremony was towards the end, Julie and Andrew went out to their families to hug them as a symbol of their families becoming one. Such a great way to honor two histories! After the ceremony all the guests proceeded to the reception hall to celebrate the newlyweds with lunch. Many congratulations to the new Mr. and Mrs. Song! It was a joy being a part of capturing your wonderful day and I wish you all the best in your marriage!